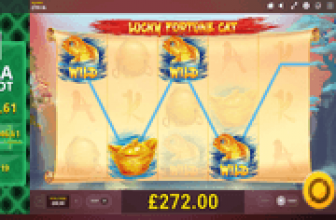 Jackaroo Jack online slot is another Lightning Box innovation, this time featuring a powerful Wild Symbol. Represented by a Buffalo Horn image, Wilds can complete any of 1024 ways to win, by way of symbol representation. If it fails to do so, a Second Chance Respin automatically transpires. Another great aspect is that Horn Wilds can also represent the Jackaroo Man Bonus Symbol; giving players increased chances of activating one of 5 bonus game options. Horn Wilds become even more powerful in free rounds, as they bring on Wild Multipliers with values ranging between 2x and 5x. On that note, look forward to hitting at least six (6) icons of The Man, as such outcomes activate a free round. Know beforehand that Horn Wild tokens take positions only in Reels 2 and/ or 4. If it completes a winning arrangement, it draws a reward based on the payout value of the represented icon. If not, it automatically sets off a Second Chance Respin Feature. Second Chance Respin – The Jackaroo Man animates to initialise the Respin Feature and to keep the Horn Wild in place. After which, the non-Wild Reels will respin to give players a second chance of striking a win outcome. This Respin Feature though, does not come with a guarantee that it will yield positive results. At least six (6) Jackaroo Man Bonus Symbols landing simultaneously unlock the Jackaroo Jack Free Games Panel. However, the tokens must also align consecutively from left to rightmost reel. Although six (6) Bonus Symbols completing a win-way seems like a steep order, players may receive help from any Horn Wild that is concurrently in view. After all, part of the Wild’s win-boosting attributes is its ability to represent any icon, including the Jackaroo Man. In addition, images of The Man may appear stacked in one or more reels via a single spin. Nonetheless, The Man Bonus Symbol also awards an instant cash bonus even if only three (3) or 4 of the image are in view. Three, four or five Jackaroo Man aligning as winning combination, earn players the highest payout of 50, 100 or 300 win-credits time the Line Bet. During a bonus bout, Horn Wilds emerging in Reels 2 and/or 4 applies a random Win-Multiplier. The multiplier values though depends on the type of free round activated by a qualifying Jackaroo Jack bonus player. Moreover, the number of Wild Symbols that helped complete a winning combination can increase the multiplier value. That is because the factors also multiply. The next best thing that can happen is for a free round to retrigger, as that extends opportunities for raking in additional bet-free winnings. 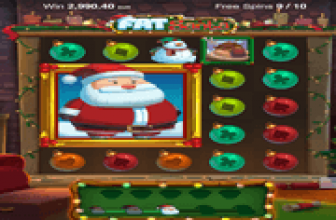 20 Free-Spins with 2x Wild Multiplier that may yield a 4x multiplier value. 15 Free-Spins to which a 2x and/or 4x Wild Multiplier may emerge, with potential to yield winnings multiplied 8x. 12 Free-Spins configured to generate 3x and/or 4x Wild Multiplier, which if occurring simultaneously will increase winnings by 12x. 10 Free-Spins that produce 4x and/or 6x Wild Multiplier that can generate a whopping 24x Multiplier. 6 Free-Spins that offer the highest Wild Multipliers of 5x and 8x, which have potential to multiply and yield an epic 40x Wild Multiplier. 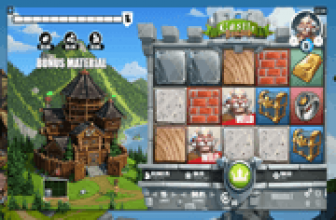 Jackaroo Jack online slot combines several Wild attributes that can increase players’ chances of hitting base and bonus game wins. Wilds can represent any reel element including Bonus Game Symbols. If its occurrence in a reel does not produce a win-outcome, the Wild locks in place and launches a respin of the non-Wild Reels. Five Bonus Game options feature Wilds with varying range of Wild Multipliers, between 2x and 5x. The Multiplier Values activated may still increase because if more than one helped complete a win-way, the 2 factors also multiply.